Filers of U.S. trademark assignments may discover that some of the properties listed on the schedules or exhibits to their documents cannot be assigned at the U.S. Patent and Trademark Office (USPTO), even when the marks appear in the U.S. trademark database. Why can’t some U.S. trademarks be assigned through the USPTO system? In some cases, it may be because the marks are already registered with the Madrid Protocol. This article will explain why certain marks cannot be assigned using the USPTO’s ETAS (Electronic Trademark Assignment System). It will also provide a brief overview of what the Madrid Protocol is, how the USPTO manages these properties and how the Protocol allows the recording of a security interest on a trademark outside the authority of the USPTO. Assignment for property number 4527377 may not be filed via the USPTO; you must file Assignment with the Madrid International Bureau. The Madrid Protocol is a treaty that facilitates filing of international trademarks with WIPO, the World Intellectual Property Organization. Within the WIPO’s International Bureau (IB) is a Madrid Registry that is responsible for international registrations under the Madrid Protocol. Ninety-five countries (“Contracting Parties”) are party to the Protocol. One international application replaces many national applications filed separately. International registrations last for ten years and are renewable. The USPTO’s Madrid Processing Unit (MPU) works in conjunction with WIPO when a mark originates in the U.S. The USPTO is then considered the “home” IP office (office of origin). No matter where protection of a mark is sought, an international application is always filed with the office of origin. Countries other than the originating country can be designated in order to widen the scope of a trademark’s protection. This action is called “designating a Contracting Party.” Often, a registration holder has protection abroad and seeks protection in the U.S. The U.S. would in this case be designated. 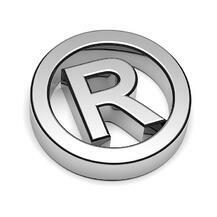 The registered mark is given a USPTO filing basis of 66(a) to signify its intent to extend protection to the U.S. The MPU ensures certain provisions are met in the application before forwarding it to the Madrid Registry. A security interest is one type of restriction on a holder’s rights to dispose of his/her intellectual property. All other requests to record a restriction/security interest on trademarks go through the International Bureau of WIPO. It will accept either an MM19 form, or a letter of request. Filing is free of charge. Once the security interest is recorded, all interested parties can see the published restriction in the WIPO Gazette of International Marks and the ROMARIN database for trademarks. Only the Gazette is an official Madrid system publication. In conclusion, filers of U.S. trademark assignments may encounter Madrid Protocol marks registered with WIPO that cannot be assigned through the USPTO’s channels, despite the fact that they appear on the USPTO database. These marks can, however, be assigned through a separate WIPO filing.